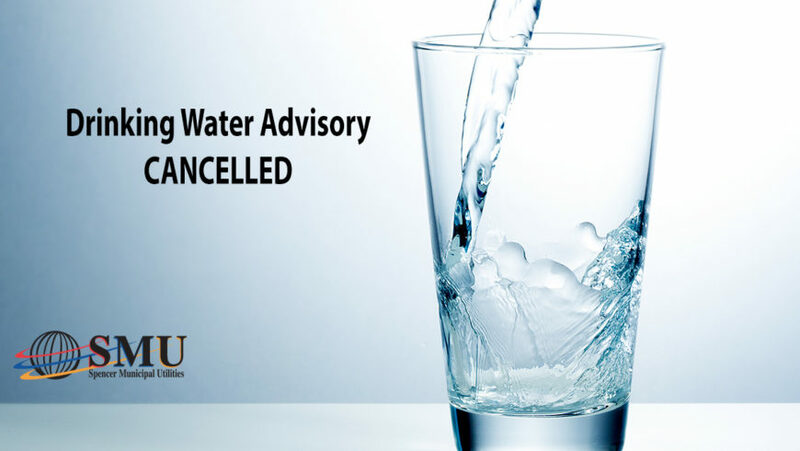 The drinking water advisory issued Wednesday, March 6, 2019 for 94 addresses in Northeast Spencer has been cancelled. The system has been repaired, repressurized, and bacteria samples have been collected and passed without any indication of contamination. Customers affected by this advisory are being contacted.